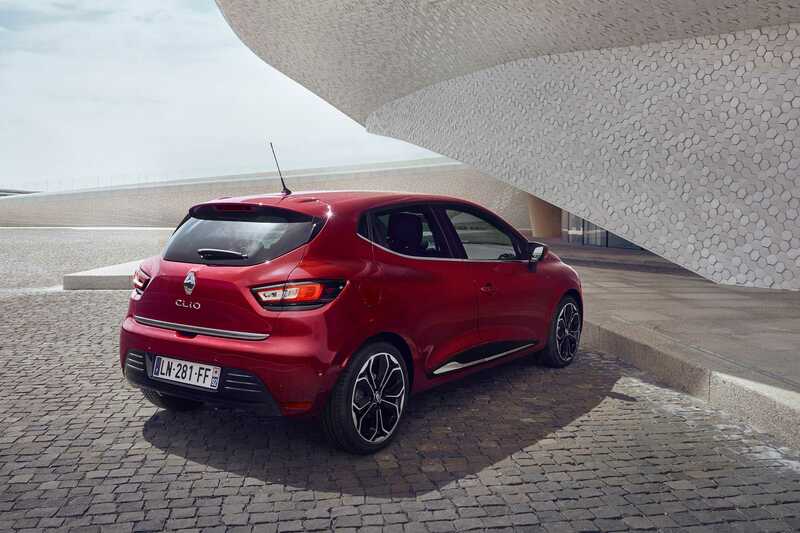 An upgraded version of the Renault Clio has been introduced and the fourth generation model has some noticeable changes including new design as well as different powertrain options to choose from. The automobile brand has confirmed that the new Clio will hit stores in the month of October this year and deliveries will begin in the same month. The changes are very subtle. At first look, the car might the same as the outgoing model. Renault probably went for the old adage that claims if it isn’t broken, then don’t fix it. However, they have worked hard to bring some new exterior changes and add-ons to make the driving experience comfortable for everyone onboard. The change list includes all-new LED lights mounted on a wide grille which gives a facelift to the front fascia. The back bumper sports a new design which is evidently noticeable. Renault also offers a list of new color variants to choose from including Mars Red, Titanium Grey, Iron Blue and Arctic White. Some high quality materials used in the interior adds a touch of luxury to the car. A matte finish coupled with chrome trim is a brilliant change. It brings a classic look to the interiors of the vehicle. Music lovers will definitely enjoy owning a Renault Clio. The car is now equipped with a surround sound system provided by BOSE. The multimedia systems vary based on the trimline you go for. Media Navigation evolution is used in the top of the line, R-Link evolution in the next model and the entry level cars use a R&GO system. Safety kit used in the Clio includes parking sensors on all sides. New drivers can avoid those accidental bumps now as it warns them if a solid object is close by. Reverse camera is also used as part of the safety upgrades. Hands free parking system is available in select models. It can park the Clio automatically without any human interference. Apart from the usual petrol engines, the Renault Clio next gen edition has a new 1.5-liter dCi diesel engine which renders 108 horsepower while the 1.2-liter petrol engine delivers 118 horsepower. Both models use the same six speed manual gearbox system. Everything about the Clio is promising so far including the technical specifications and the features provided in the car. Renault is yet to announce the pricing for the different trimline variants. When they do so, it will be easier for new buyers to make a concrete decision.